It’s not difficult to understand why beauty experts and celebrities worldwide are turning to the amazing CACI Ultra system. The multifunctional CACI Ultra combines the facial toning functions of the award winning CACI Classic non surgical face lift system, with the skin regenerating applications of the acclaimed Futur-Tec system. The CACI Ultra system incorporates 4 different technologies within one state of the art treatment device; Microcurrent, Ultrasonic Peel, Hydratone and LED Light Therapy photo stimulation. 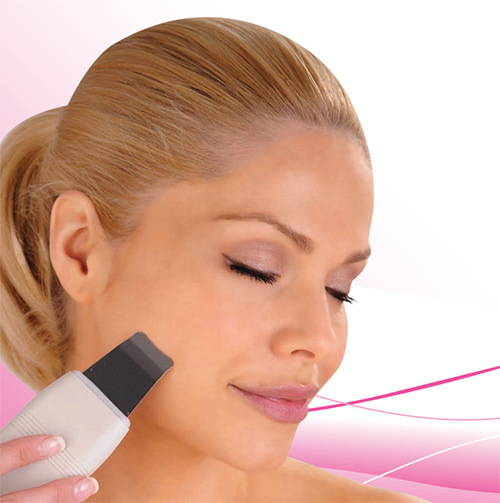 The colour touch screen interface provides a selection menu of over 40 pre set treatment programs for softening lines and wrinkles, facial toning, hand rejuvenation, stretch marks and improving acne blemishes. *Disclaimer: Individual results may vary from client to client. What is the CACI System? The result of over 20 years research, the anti-ageing treatment combines CACI Non Surgical Facial Toning with Skin Rejuvenation. The system incorporates 4 different technologies: Microcurrent, Ultrasonic Peeling, Hydratone and LED Light Therapy stimulation within one state of the art treatment device. What are the benefits of LED Light systems? *Disclaimer: Results may vary from client to client. Due to it’s lifting and toning effect, the CACI microcurrent treatment has become known as the “Non Surgical Face Lift”. How is CACI different to other systems?